With its curved fluid lines and sleek lever design, the Zedra Kitchen Sink Mixer will bring contemporary elegance to any kitchen. Washing and rinsing is effortless with its pull-out comfort spray head. 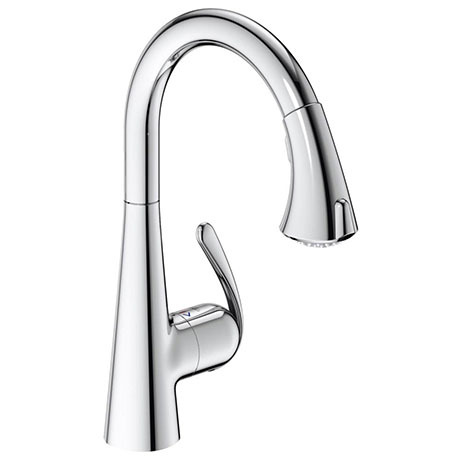 Its smooth chrome surface is extremely easy to clean thanks to GROHE StarLight® chrome coating. Thanks to the easy installation system, you'll have this stunning tap installed in the blink of an eye without professional help.